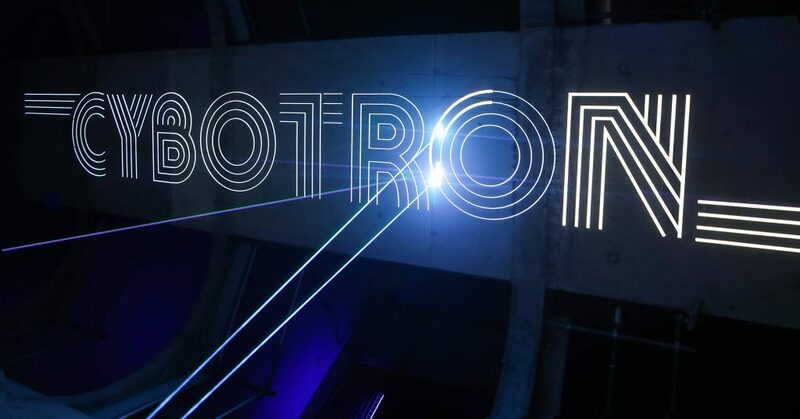 Next week, on 12 April 2019, legendary Cybotron returns to perform live at Barbican London, showcasing a creative collaboration between Detroit’s pioneering Juan Atkins and visual technologists Pilot, a London-based creative studio interested in the interplay between sound and visual technologies. This show will be the first Cybotron live show in the UK and promises to be a highly innovative event, fusing visionary technology with new and original music. Cybotron (coined from the words ‘cyborg’ and ‘cyclotron’) was formed by Juan Atkins and Richard “3070” Davis in 1981 and released the iconic Enter album, which is widely considered to be where Techno began. 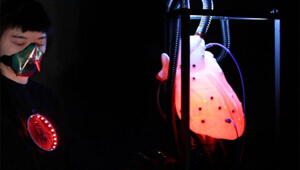 The co-creators vision was dominated by the notion that human life would become so intertwined with technology that they’d be essentially inseparable – Founded on ‘The Cybotron Principle’ – That A Computer Can Be As Good, Or A Better Musical Collaborator Than A Person’. 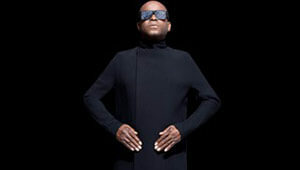 Juan Atkins will debut new material from the forthcoming Cybotron album, alongside original seminal tracks, taking the audience on a multi-sensory journey. Pilot have designed a revolutionary digital lighting and laser control system that enables multi-layers of audio to be fed in real time into a bespoke visual generative engine. For Pilot the most exciting part of working with light is its infinite creative possibilities and for this show, multiple lasers will ‘talk’ to an array of 700,000 LED pixels in complete synchronicity with the live audio in a non-human machine edit. 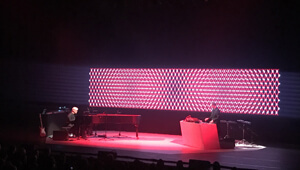 Ahead of our interview with Juan Atkins, we had a chat with promoter Kathleen Winter and Ben Brett co-director of Pilot Technologies who shared how the show was incepted and developed on the technical side. Kathleen, what was the main inspiration behind the show? The inspiration came straight from Detroit. It all started with Terrence Dixon, who’s an established Detroit Techno producer and close friend of Juan. It began with a conversation between Terrence and myself back in Spring 2016 chatting online via Terrence’s ‘minimal Detroit’ facebook group. 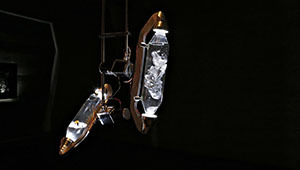 We started to exchange ideas and thoughts, and in the weeks that followed, Terrence put forward the Cybotron Live idea. Terrence wanted to ensure the techno legacy would have it’s place in history, so Terrence and his wife Ulandra invited my business partner and other-half James and I to come and meet in person in Detroit that Autumn. Fast-forward and enter visual technologists, Pilot. Sitting outside their London Studios (which is also where we have our studio) on a summer evening back in 2016, Ben (co-owner and founder) and I were exploring ideas around a ‘concept to production’ proposal based on the hypothesis of working outside the normal production channels. We presented the Cybotron Live idea to Pilot, feeling the prophetic Cybotron material would work synergistically with Pilot’s technology. Pilot created some simulations that James and I presented to Juan at Terrence Dixon’s house in Detroit, and the project started the next phase of its journey. Pilot got straight on the project and Sam produced an in-house simulation, in Pilot software, of an audio interactive stage environment that they rendered off. With the clip in our hands, James and I jumped on a plane to Detroit to meet up with Terrence and Juan in October 2016. Juan had been approached several times to do Cybotron Live in the past. When we showed him Pilot’s early simulations he was amazed at how the lasers were able to ‘draw’ Cybotron and he couldn’t work out how it was done given it was not CGI. This really set us apart from all other candidates who had tried in the past. Juan wanted something futuristic and cutting edge to work symbiotically with his sounds from the past, and the sounds he would create in the future. James and I had actually met Juan in Ibiza in 2012 before the project had been conceived of but now looking back I see a bread crumb trail going back over 20 years that formed the pathway for this project. 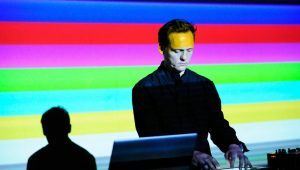 James Winter, a multi-disciplinary artist, has been on the Detroit music scene since a young teenager, some 23 years ago now and fiercely flying this flag and championing that sound when we met 10 years ago. Ben, after you were presented the idea of the show, how did it evolve and mature? 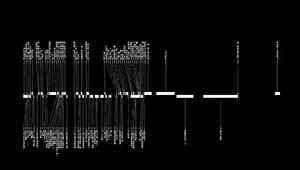 Pilot Technologies connected with Juan Atkins via Kat Pesaran with an initial audiovisual concept simulated in our software in December 2016. We then met Juan in Las Vegas in September 2017. We explored creative ideas around ways to generate a live visual language using his live sounds/frequencies via a multi-stemmed audio system. There was a strong synergy between Juan and Pilot – on that day the collaboration that was to become Cybotron Live was born. 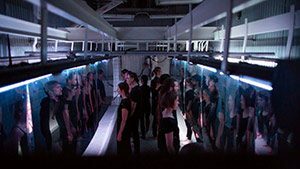 What have been the technical challenges of putting forward a show like this? We already had a sophisticated proprietary software system (Pilot) that we had developed over the last ten years at our disposal. However, this project required a new custom code to facilitate a number of new features. The biggest addition was the implementation of a digital audio workstation (DAW) within Pilot. This needed to have the ability to import multi stem songs into the software to work in the studio and also be able to work in an open channel mode in the live environment. The stem information also needed to be implemented throughout the software so that individual laser/lighting controls could be assigned to individual stems. As can be imagined the permutations of working with 15 or more stems at any one time is somewhat daunting so there have been many software tweaks to enable a better workflow. What do you expect from the audience that will experience the show? I hope that the work will engross the audience from the moment the lights go down to the last note of the show.